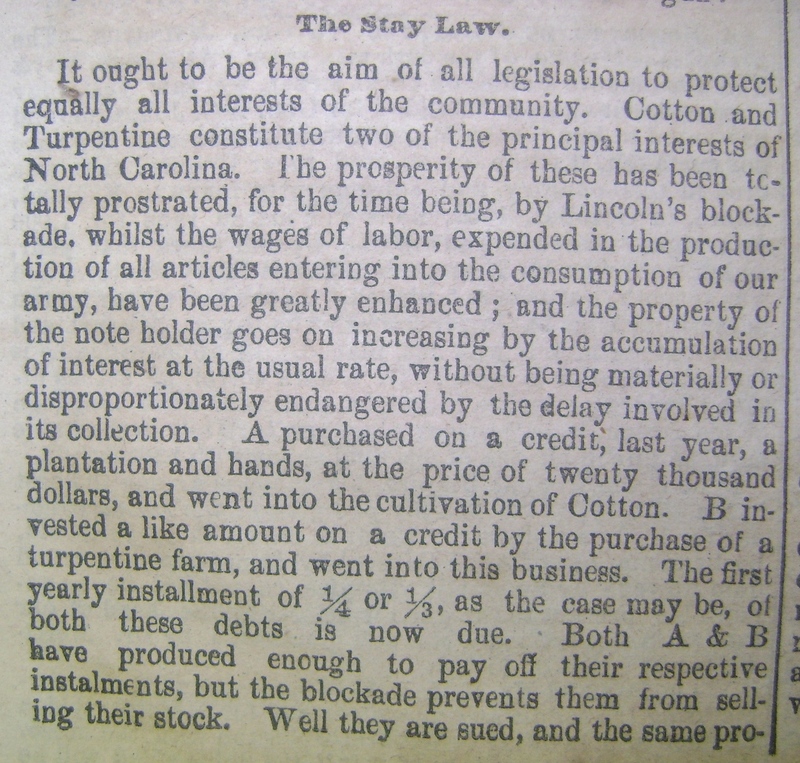 Item description: Editorial, 10 Oct 1861, from the Wilmington Daily Journal commenting on North Carolina’s “Stay Law.” Enacted by many states during the war, stay laws were legislative measures intended to protect private creditors and debtors in a time of great economic uncertainty. North Carolina’s law, passed in May of 1861, suspended certain Civil War-era debt lawsuits until normal economic conditions could resume. 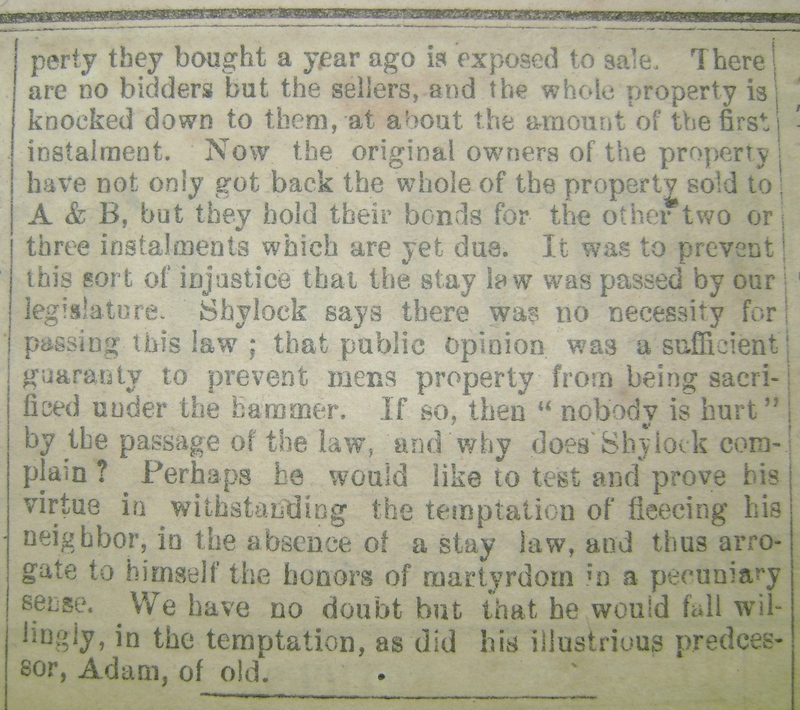 [Click here to read the text of the “Stay Law”, via Documenting the American South]. Item citation: The Daily Journal. 10 October 1861. Wilmington, N.C.: Fulton & Price. C071 W74jd. North Carolina Collection, Wilson Library, University of North Carolina at Chapel Hill. This entry was posted in North Carolina Collection and tagged credit, debtors, economic conditions, newspapers, Stay Law, The Daily Journal, Wilmington (N.C.) Daily Journal. Bookmark the permalink.